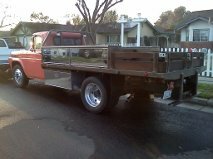 Has a 12 ft. flat bed, service truck, with headache rack and lighting, chrome and diamond plate tool boxes, original bed with newer wood and stainless. 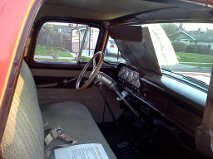 The inside cab has been fully restored, has a/c, and heater, tilt steering,and custom steering wheel. After market dolphin gauges, 3 pt seat belts, seats 3 and very comfortable seat. 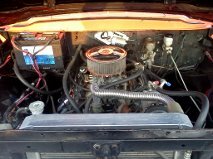 The engine is a 351 Cleveland motor(9,000 miles on all new drive tran), rebuilt, bored out, chrome Edelbrock carburetor, headers, custom aluminum radiator with dual electric fans, all new wiring, all new dual joined exhaust, custom 40 gallon fuel tank mounted under rear of flatbed. 19 1/2" custom aluminum dually wheels, new lower profile tires. 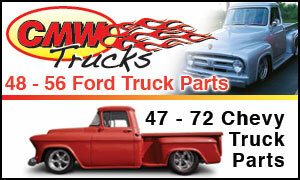 Runs and functions great, we have taken this truck to a few car shows. Always turns heads. 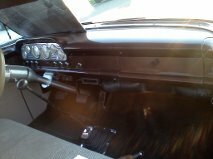 We got it for a business and decided it was just too beautiful of a truck to get scratched..the restore was done 5+ years ago, we've had the truck for four years now. 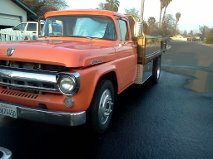 Would be a great service truck, or even a winery, needs a great home to be fully appreciated.